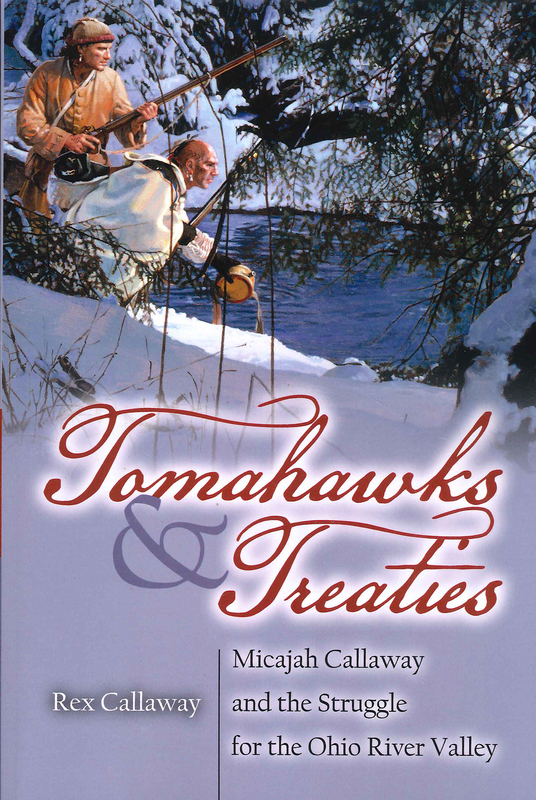 TOMAHAWKS & TREATIES, Micajah Callaway and the Struggle for the Ohio River Valley by Rex Callaway. Softbound, 450 pages, 6� x 9�. Micajah Calloway�s life story is the perfect backdrop for the story of bitter conflict that surrounded the settlement of the Ohio River valley. Land inhabited for centuries by Native Americans and desired by settlers. Calloway�s family from Bedford County, VA, was part of Daniel Boone�s party blazing the Wilderness Road and forming Boonesborough. As Calloway became of age he to joined Boone�s militia, was taken captive and lived several years among the Shawnee. This very readable story makes a great setting for a very important time in our history.